LONDON -- Volkswagen Group's debt outlook was raised to stable from negative at Fitch Ratings, which said the bulk of operational and financial risks from the carmaker's diesel-emissions scandal are now known. Fitch also affirmed Volkswagen's BBB+ long-term debt rating, three ranks above junk, saying after the market closed on Tuesday that while the possibility of further legal action related to emissions has not disappeared, the risks to the automaker have become manageable. 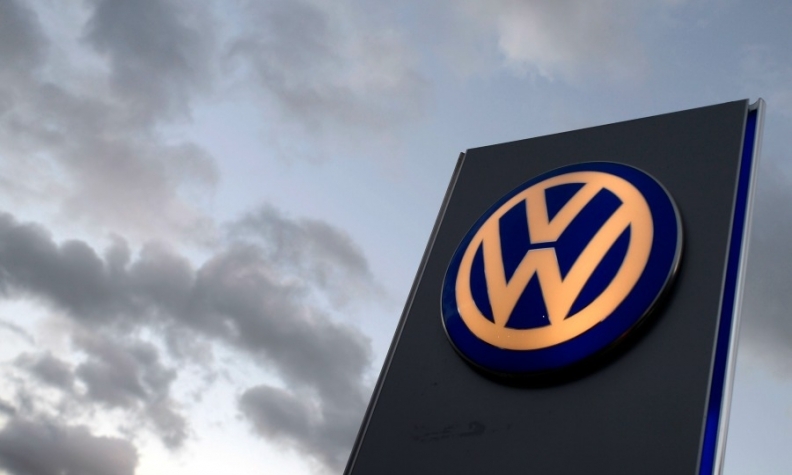 The stable outlook means the credit-reporting firm is unlikely to change VW's rating soon. "In particular, we believe that the group could accommodate several billion euros in additional fines and/or recall and repair costs and still sustain its current ratings," Fitch said in a statement. VW has demonstrated "a strong resilience" since the start of the emissions crisis in September 2015, with only a limited impact on credit metrics seen by the "exit point" of 2019-2020, when the bulk of cash outflows will hit. VW has set aside 22.6 billion euros ($25.7 billion) so far to pay for fixing or buying back vehicles, fines and other penalties. It faces further costs from lawsuits related to its rigging of as many as 11 million diesel-powered cars worldwide to cheat on emissions tests. The carmaker, the world's largest, is also in the midst of a reorganization that Chairman Hans Dieter Poetsch is overseeing to prevent a repeat of the scandal. The carmaker's shares declined 0.3 percent to 133.70 euros as of 9:27 CET in Frankfurt, valuing the company at 68.1 billion euros. Its 1.5 billion-euro bond maturing in October 2023 traded down 0.1 percent at 100.47 euros. Fitch lowered Volkswagen's rating to BBB+ from A in November 2015 with a negative outlook, saying the scandal raised questions about management and internal controls. The firm stood by the rating last June after provisions against the crisis hurt earnings, while saying the group was showing resilience and had improved visibility.